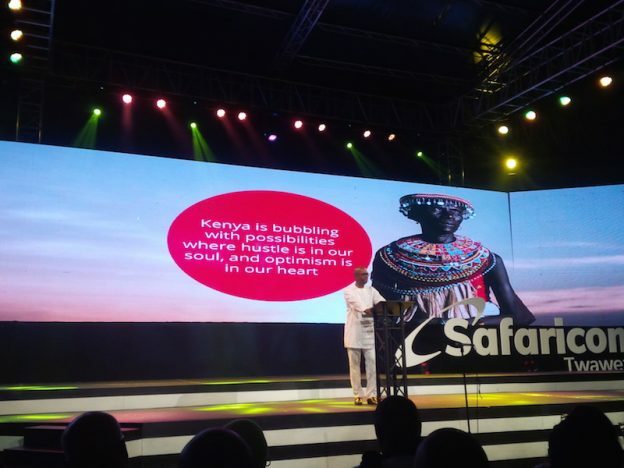 Safaricom launched a new brand called Twaweza this weekend, at a swanky ceremony in marked contrast to past subtle changes to the logo of the company. Director Sylvia Mulinge narrated the seventeen year history of the company from being a department at Telkom Kenya, to becoming Kenya’s largest company, with its ups (choosing to bill its customers per second for every call [which enabled it to leapfrog its competitor who billed per minute], rolling out Simu ya Jamii, 3G data, M-Pesa in 2007, and the Safaricom IPO and listing in 2008). She also listed some missteps made, such as rolling out unlimited data to customers, and slow upgrades to their network that led to infamous Friday congestion – and which then-CEO Michael Joseph attributed to “peculiar Kenyan” phone calling habits that. 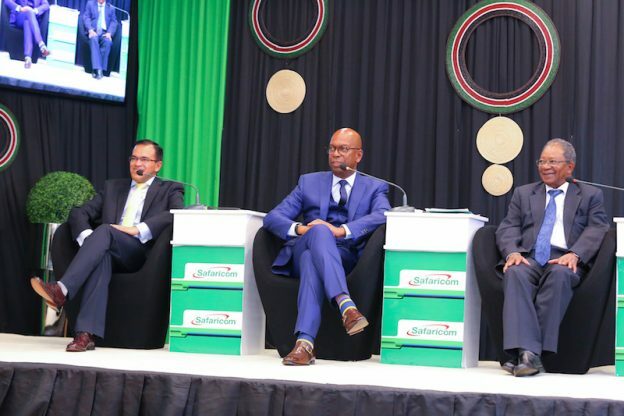 Twaweza, announced by CEO Bob Collymore, signals the switch of Safaricom from being a telecommunications company to a digital lifestyle enabler for Kenyans to connect and do more with their lives using the Safaricom network and ecosystem. This entry was posted in Safaricom, Safaricom IPO, Safaricom success on June 19, 2017 by bankelele.